The Beaver Creek hat is warm enough to wear on the ski slopes (though a helmet is preferred!) and classy enough to wear after a day on the slopes while strolling through the mountain town (to cover the helmet hair!). 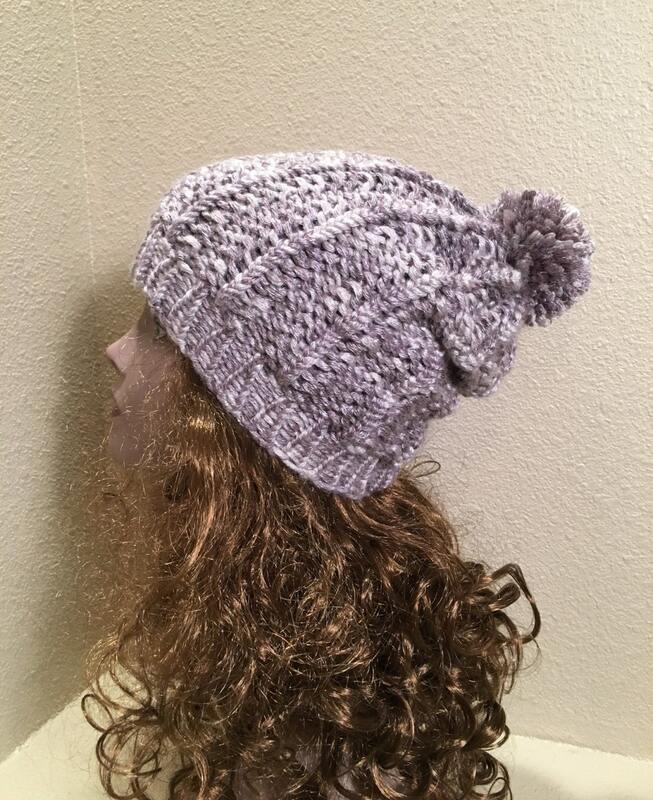 And the best part is that this hat is made with knits and purls. A nice easy knit. 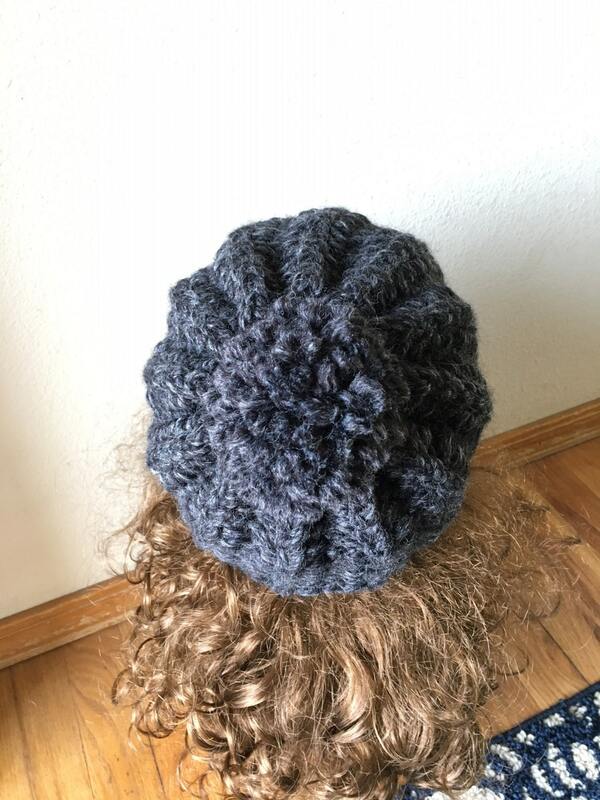 This hat is knit on the purple Knifty Knitter adult hat loom (5/8” gauge with 48 pegs) and uses approximately 106 yards of a super bulky yarn. 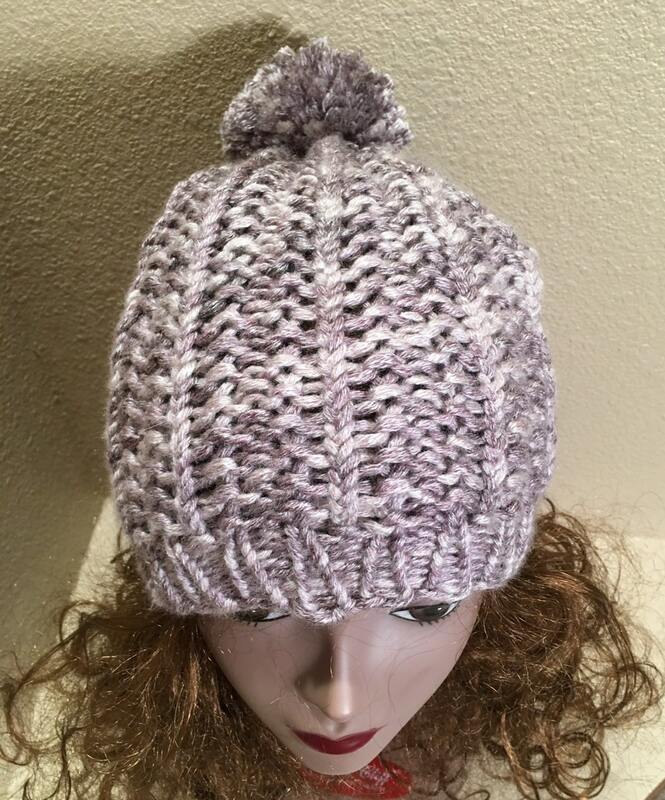 The discontinued Red Heart Zoomy yarn in the Malted colorway was used in the lilac sample. Lion Brand Wool-Ease Thick & Quick in the Charcoal colorway was used in the black sample..
And if you want a matching cowl, my Alpaca Cowl would match nicely. 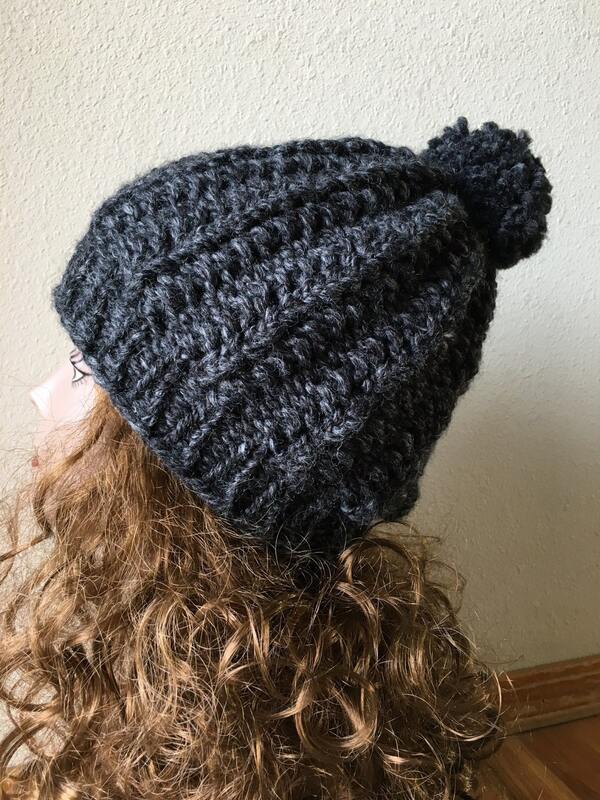 This pattern is suitable for a confident beginner loom knitter. 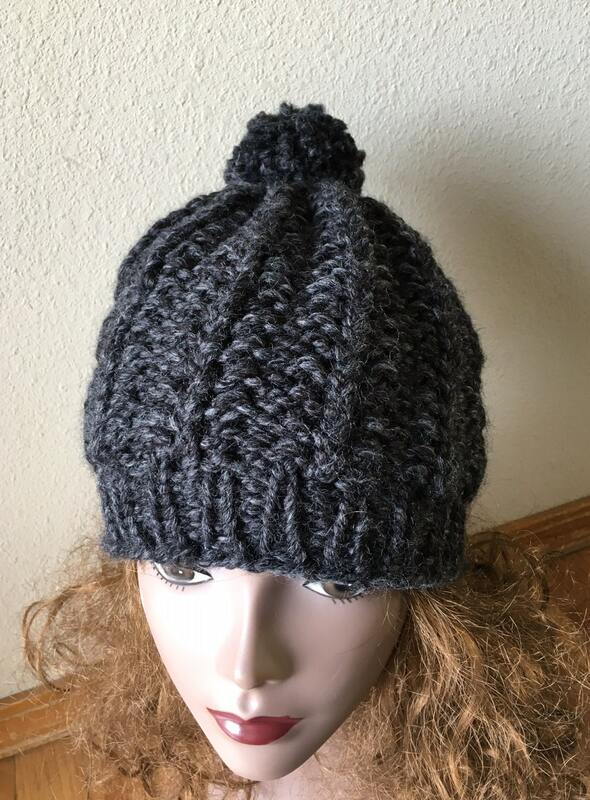 This pattern is available now to download as a PDF file.